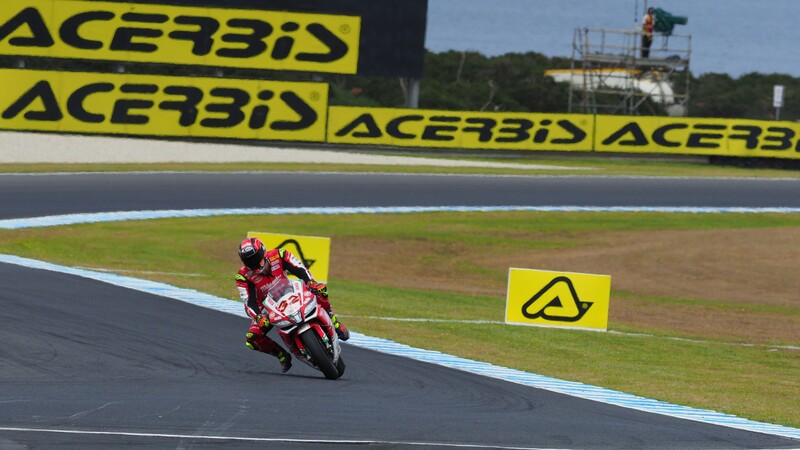 Lorenzo Savadori (Milwaukee Aprilia) topped the timesheets in FP2 at Phillip Island, taking Aprilia to the top on a final dash and ending the session an impressive three tenths ahead of another man to impress: Leon Camier (Red Bull Honda World Superbike Team). 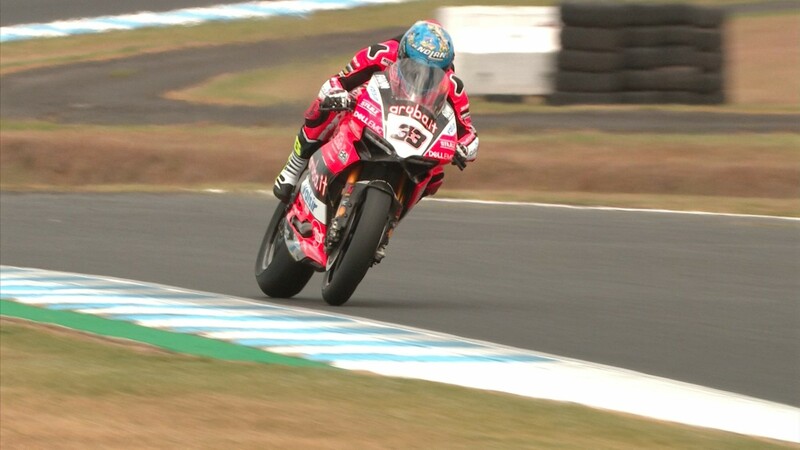 On his Honda debut, the Brit just pipped the second Milwaukee Aprilia to second, with only hundredths then separating Camier from P3 man Eugene Laverty. 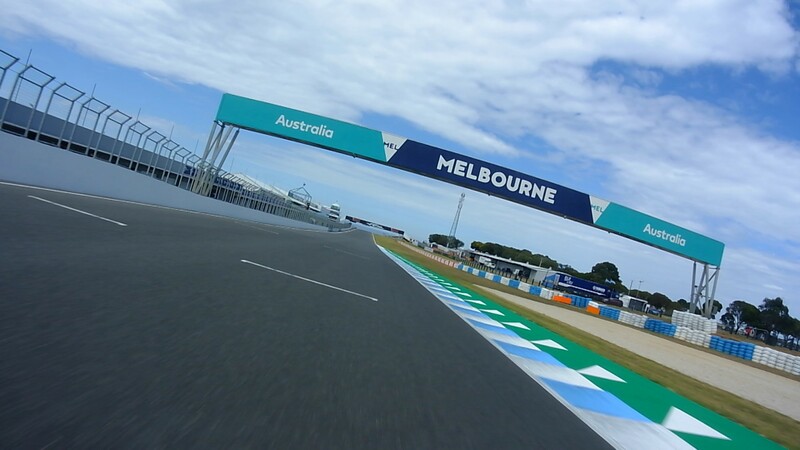 2018 began with drizzle at the Island, but the sun did begin appearing in FP1 – with Marco Melandri (Aruba.it Racing – Ducati) topping the timesheets – before the grid got some full dry running in FP2 and the times tumbled. 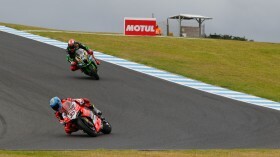 In effect, the weather took laptimes from FP1 out of the equation for graduation to Tissot-Superpole 2, making FP2 the first indication of each rider’s hand at Phillip Island. 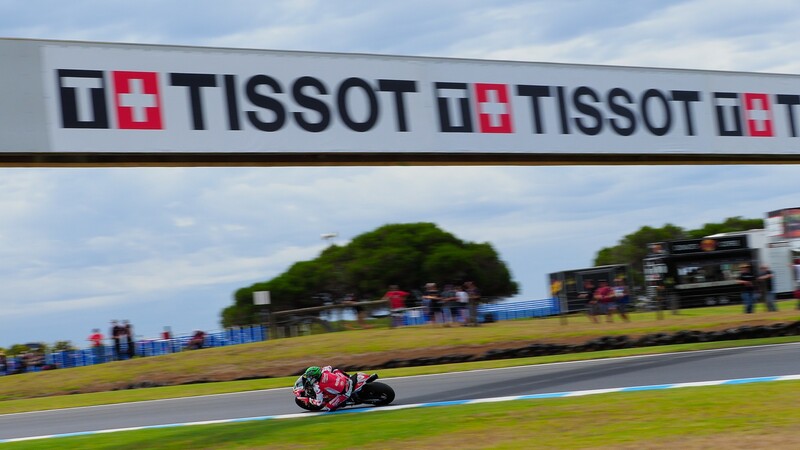 It was Irishman Laverty who held the early advantage, before Camier signaled the start of some timeattacks and took over at the top. But it wasn’t over yet, with Savadori then striking late to make it double delight for the Milwaukee team as Noale machinery invaded the top three. 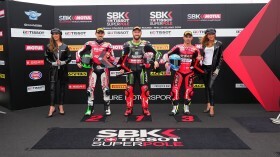 Tom Sykes (Kawasaki Racing Team), meanwhile, was top Kawasaki and burst into the fray in FP2 to go fourth fastest, with Melandri following on from his good form in testing and FP1 to complete the top five. 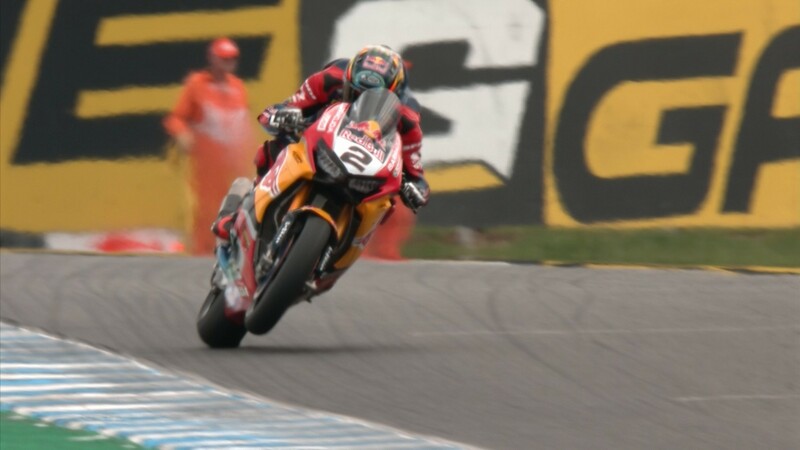 Reigning Champion Jonathan Rea (Kawasaki Racing Team), after going second fastest in a damp first session, completed the top six in the dry – and was only half a tenth clear of Michael van der Mark (Pata Yamaha Official WorldSBK Team). 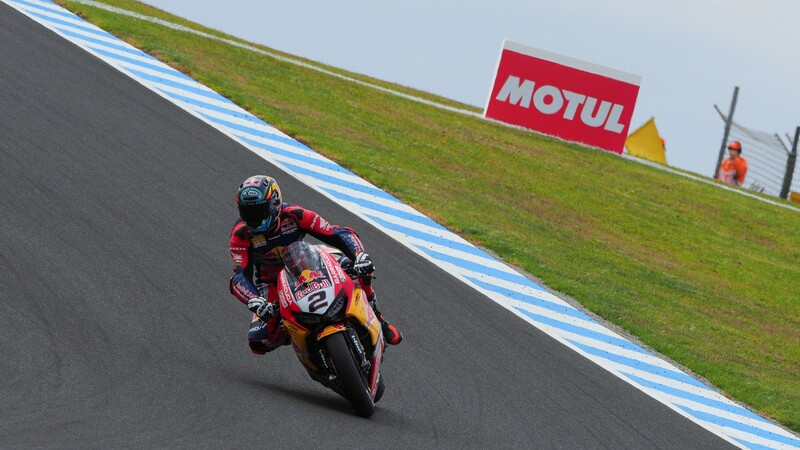 Van der Mark, a former podium finisher at Phillip Island, was the fastest Yamaha in FP2 as the times became more representative – with teammate Alex Lowes mixing the team’s fortunes as he went down in the session, sliding out at the top of Lukey Heights. 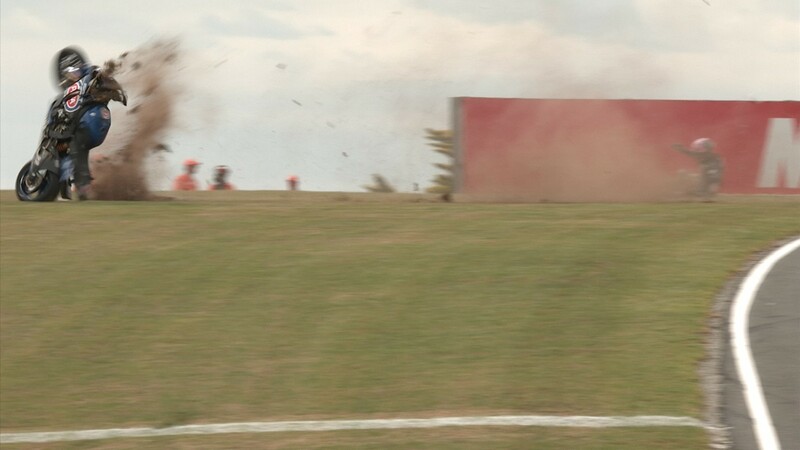 Loris Baz (GULF ALTHEA BMW Racing Team) also suffered a crash in FP2, on a full tank, leaving both Lowes and Baz gunning for the front in FP3 - with one shot at direct graduation to Tissot-Superpole 2 left. Xavi Fores (Barni Racing Team) was eighth quickest ahead of Chaz Davies (Aruba.it Racing – Ducati) as they staked an early claim on a move through to Tissot-Superpole 2, with Jake Gagne (Red Bull Honda World Superbike Team) completing the top ten in an impressive performance for the American newcomer. Toprak Razgatlioglu (Kawasaki Puccetti Racing), Jordi Torres (MV Agusta Reparto Corse), Roman Ramos (Team GoEleven Kawasaki), Loris Baz and PJ Jacobsen (TripleM Honda World Superbike Team) completed the fastest fifteen, with every manufacturer represented and those just outside the graduation zone looking to push forward in FP3.